Figure Drawing: When drawing from life I am responding to the particular characteristics of the subects, the poses and the lighting. I make the pencil or pen lines describe the shapes by following around the forms to convey 3 dimensional volumes and the space around them on a flat page. 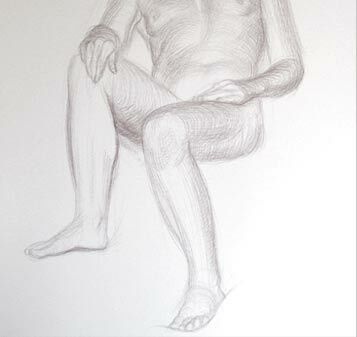 I am consciously using processes that have always engaged people making figure art.